Shomit is not following anyone. Longtime Silicon Valley entrepreneur with deep experience in software start-ups, both as a venture capitalist / board member, and as an operating executive. Multiple successful IPOs as an operating exec, and multiple successful exits-by-acquisition as both an operating exec and as a board member. 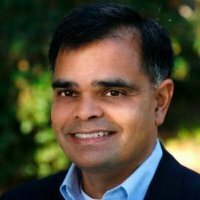 Started entrepreneurial life as a UC Berkeley-trained software engineer, and have served in virtually every operating role in a variety of successful start-ups: board member, CEO, COO, VP Marketing, VP Sales, VP Engineering, VP Services. Currently a managing director and partner at ONSET Ventures, an early-stage venture capital firm, and invest in -- and serve serve on the boards of -- multiple software start-ups. Active in supporting the next generation of entrepreneurs through deep involvement at UC Berkeley College of Engineering, SCALEit (Innovation Center Denmark), the University of San Francisco School of Management, the Moscow School of Management-Skolkovo, Innovation House Norway, NSF Innovation Corps, etc. Shomit was mentioned in a VatorNews article "Lighthouse - Vator Splash Health 2016 Winner"
Shomit was mentioned in a VatorNews article "DocDelta - Vator Splash Health Class of 2016"
Shomit was mentioned in a VatorNews article "Lab Sensor Solutions - Vator Splash Health Class of 2016"
Shomit became a competition judge for the Vator Splash Health 2016 competition. Shomit became a competition judge for the Vator Splash Health 2015 competition.